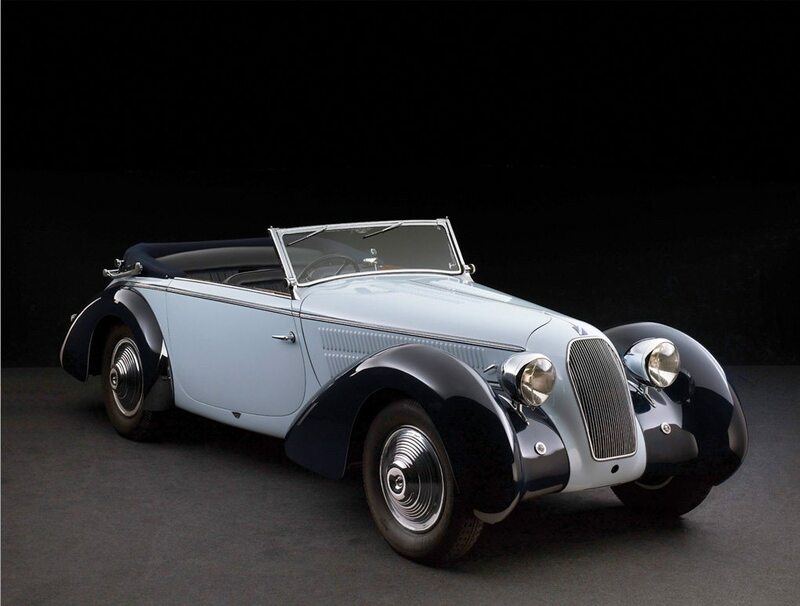 Anthony Lago envisioned the T23 as his bread and butter, a car that could revive Automobiles Talbot S.A. from its ailing history with Sunbeam-Talbot-Darracq and also pay the racing bills. Because of the company’s previous British ownership, Talbots were occasionally branded as Talbot Darracq, a name that was used to distinguish the Suresnes concern from the British race cars. Many Talbot-Lagos imported to the UK received the Talbot Darracq badge. Despite their peculiar and somewhat confusing name, the Talbot Darracqs were identical to their Talbot-Lago counterparts. They were built concurrently with Talbot’s T150 competition cars and often featured many components from the racing line. The T23 was longer than the T150 and was offered in both 3100 and 2950 mm wheelbases. The later of these was named the Baby and sometimes came equipped with more sporting specification, such as the 140 bhp cylinder head, sportier suspension and larger brakes from the T150C. In standard specification, the T23 produced 115 bhp from its four-liter engine. This unit was designed by Walter Brecchia by enlarging the 3-liter Type K78 block to 3996 cc. This design went on to power many of Talbot-Lagos racecars and powered Talbots to victory at the 1937 French Grand Prix. Through an official agreement almost all the Anthony Lago Talbots were bodied by Figoni et Falaschi in Paris. This meant their signature sweeping lines were given to dramatic coupes and cabriolets. Although they shared a same basic shape, these Figoni et Falaschi designs were unique in detail.